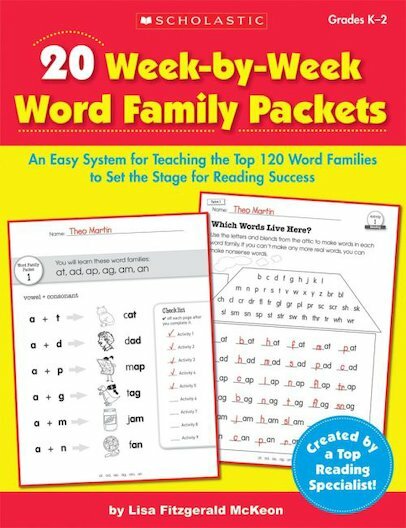 An easy system for teaching the top 120 phonic word families. Set the stage for reading success! Created by reading specialists, these handy and fully-reproducible packs are perfect for class use or homework. Photocopiable worksheets set out a range of fun puzzles and activities in handy packets focusing on different word families and their phonic construction. A word family list is also included, along with teaching notes.